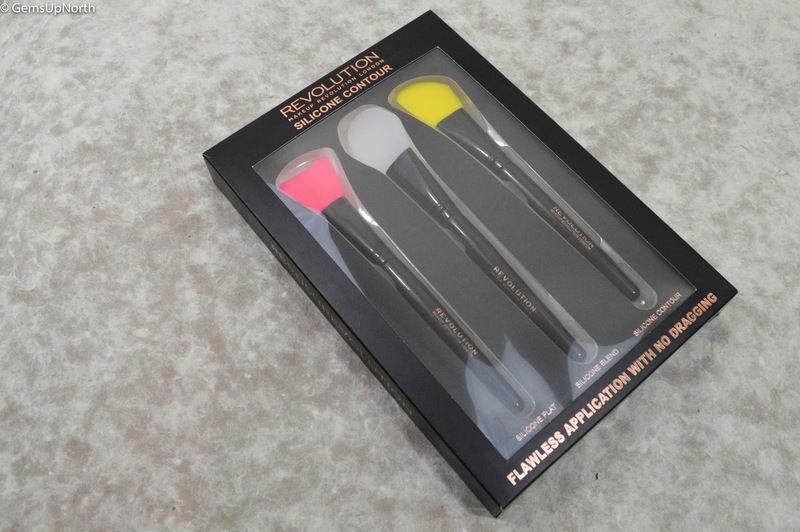 I think we have all seen or heard of the new silicone beauty tools especially the silicone sponge and we all know that Makeup Revolution are consistently bringing out new on trend beauty products... Que the *Silicone Contour brush set! 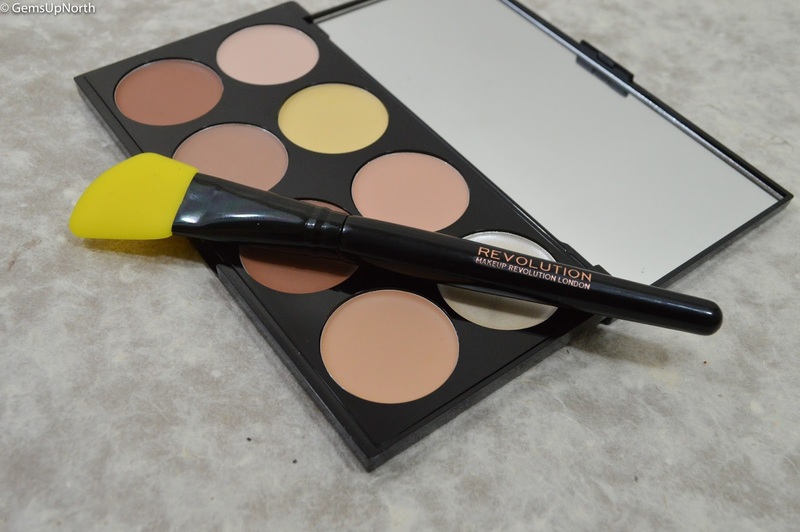 Makeup Revolution kindly sent me the silicone contour set to try out last month and I've given the set a full sampling and experimented using different products with the brushes. This set includes 3 brushes; a flat brush, blending brush and contour brush, all of which are different sizes and shapes. 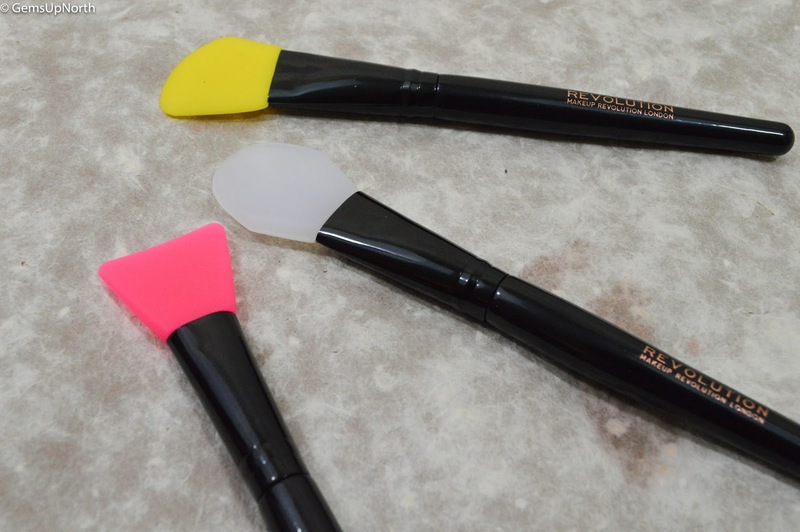 Each brush has a silicone head which feels smooth to touch and all have a strong sturdy black handles. I was very intrigued about these brushes even before I received them and couldn't wait to get started using them. The silicone flat brush has a pink head and is fish tail-like shaped, the shape helps to apply product in hard to reach places on my face. This flat brush feels slightly thinner than the others in the set but is still as sturdy. 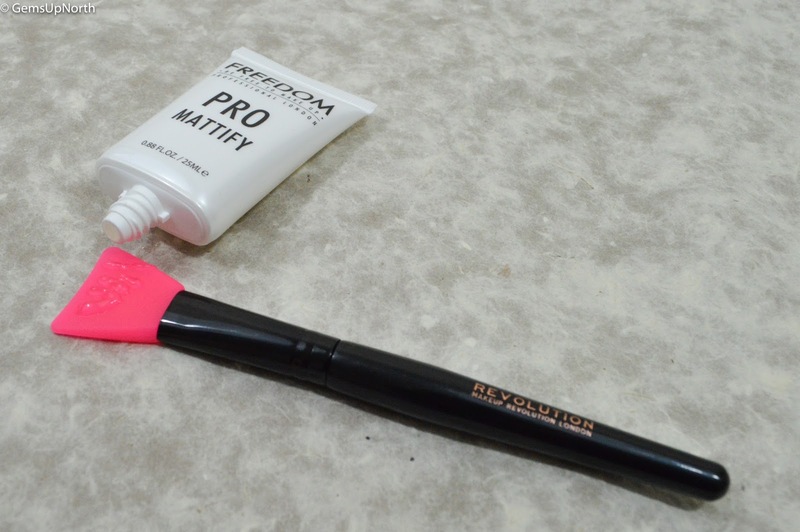 I've found the flat brush is perfect for applying primer and moisturiser because of the shape of the brush, I was able to apply product under my eyes easily, at the side of my nose and the slight curve on the end of the brush meant that the product sweeps across my face smoothly with no dragging. 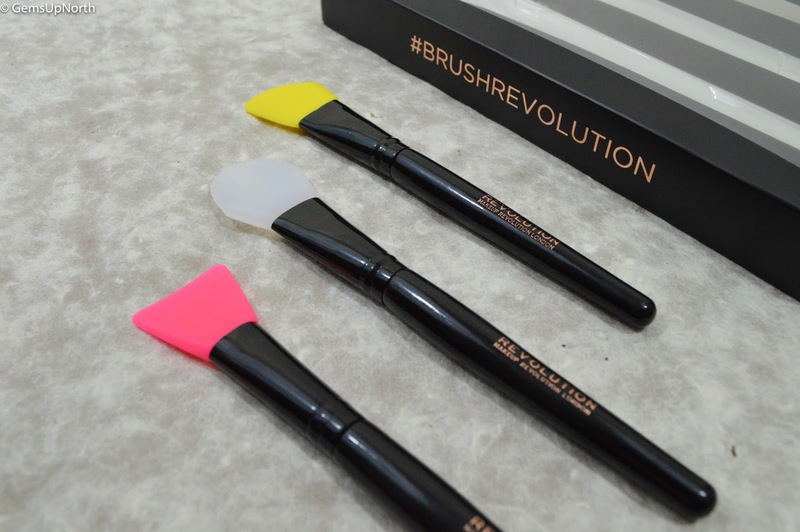 The second brush is the blending brush and the biggest in the set, the brush head shape is rounded, flexible and a transparent white colour. Blending cream contour and highlighting products with this brush was hard to get used to at first but actually worked, I was able to blend the products into my cheeks smoothly. 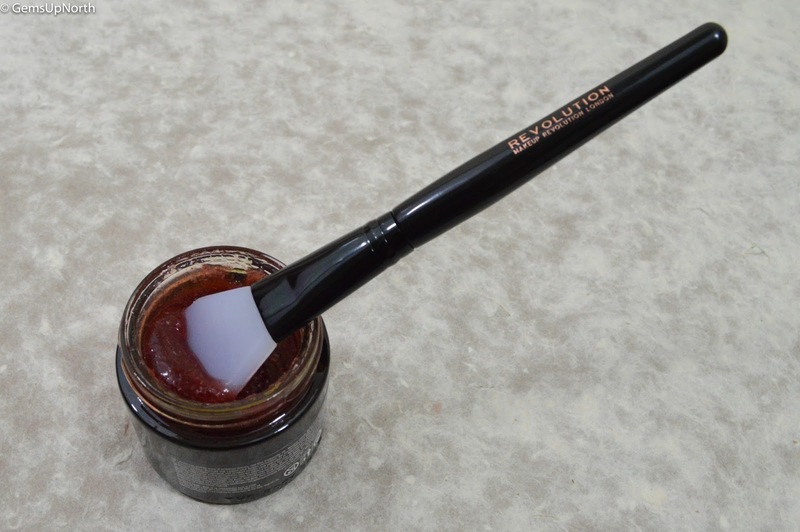 I also love using this brush to apply face masks, with being the largest brush it covers the surface area quicker than a smaller brush and because of the silicone material it is so easy to wash the excess product off the brush. Lastly the contour brush which is an angled shape that looks like a kitchen spatula. This brush feels denser and a little less flexible than the other brushes but can still apply product well. Applying cream contour products with this brush was easy and then using the blending brush created a great makeup look. My favourite product to apply with this brush was liquid glitter, the silicone doesn't soak up any product so you get use of all of it, applying glitter to my face or hair was so easy and I used less product when using this brush; I will taking this with me to my festivals this summer for this purpose. I do have to say that some products just didn't work with the brushes, I couldn't blend my foundation in how I usually would so I wouldn't use them for that and also no powder products which I think is clear with the material of the brushes. Personally for me I am impressed with these brushes and the uses I got from them especially applying face masks, its made my life easier in that sense. Washing all the brushes was quick and easy and the advantage is that the brushes can be washed and dried within minutes, no waiting for them to dry to use them again. The set is available for £10.00 from the Tam Beauty website and Superdrug, there's also a silicone eye set which has 3 smaller silicone brushes for applying cream, glitter and liquid eyeshadows. Let me know if you've tried any silicone beauty tools and what you thought of them in the comments below. *PR Sample - All thoughts/comments for my own, see my disclaimer for more info. These look really unique and different! Love the idea of using them to apply a face mask, I get in such a mess with those. I won't apply my face mask with anything else now, these was so easy and less messy.